Former students from across the country today filed a blockbuster lawsuit against the collapsed for-profit college giant ITT Tech. The students' complaint, seeking to intervene in the ongoing bankruptcy proceeding filed by the company, draws on testimonials from hundreds of students -- veterans, single mothers, and more -- who say they were deceived and abused by ITT. The students' complaint alleges that ITT, which shut down all 137 campuses in September after the Department of Education cut off federal aid, carried out "illegal actions pursuant to corporate policies and imperatives directed at churning students through a costly sham." The complaint describes in detail how a massive scam operates. It corroborates prior accounts of ITT's predatory and reckless practices -- coercive and /www.republicreport.org/2016/friends-in-high-places-who-endorses-americas-troubled-for-profit-colleges/"}}">deceptive recruiting, /republicreport.wpengine.com/wp-content/uploads/2014/02/cfpb_complaint_ITT.pdf"}}">unconscionable student loan practices, testimony-of-rashidah-smallwood-former-forprofit-financial-aid-admini/"}}">financial aid /twitter.com/MrMikeVasquez/status/768890476279664640"}}">abuses, testimony-of-adam-gonyea-veteran-and-former-forprofit-college-student/"}}">poor quality programs but /www.ibj.com/articles/60201-what-did-itt-in-short-sighted-thinking-critic-says"}}">exhorbitant tuition, /www.sec.gov/litigation/complaints/2015/comp-pr2015-86.pdf"}}">alleged fraud on investors, and utter lack of responsibility. Students complain of coercive, deceptive ITT recruiting pitches that target the "pain" of prospective enrollees. The complaint cites a former ITT recruiter as saying his colleagues were trained "to make prospective students feel that enrolling in ITT was the only way out of their problems." The students say ITT lied to them about the costs and transferability of credits, about job placement rates and earnings of graduates. They say recruiters "used the false pretense of urgency to induce students to enroll by claiming that if the student didn't enroll immediately, they would be unable to enroll for another six months." In truth, ITT, desperate for dollars, was anxious to enroll new students at any time. One student who attended ITT from 2009 to 2011 was told that the school's tuition was "on par with Ivy Tech," a community college in Indiana, when, in fact, at $44,895, the cost of a 2-year associate's degree at ITT's Indianapolis campus was almost five times as much as a comparable Ivy Tech program. They say the education was often poor: outdated equipment, pirated software, over-crowded classrooms, teachers who were apathetic, playing guitar at their desks, drunk, even sleeping. A nursing student reports, "We had 2 semesters of clinical s at the hospital where we spent 90 percent of the time in the cafeteria instead of on the floor learning. Then after the school was not allowed back at the hospitals we did our clinicals on you tube videos. There was also a class I had that we . . . [n]ever had a teacher." The students allege that ITT engaged in widespread grade falsification, apparently for the purpose of keeping students enrolled and keeping their financial aid rolling in. Also, perhaps, to boost ITT's published success rates; in 2015, ITT's President and COO claimed that ITT's graduation rates were double the rates of comparable community colleges. One student reports, "I had spoken with the Dean of Students at the time, telling him of my suspicions, that this school was passing people thru so they could get the federally secure[d] student loans. He came to me one day and said my suspicions were true, but he would never admit it if I brought it up again, because he had a family to feed." The students also allege that ITT's financial aid officers relentlessly pressured them to take on new loans, pulling students out of class and demanding they sign immediately, and making threats to aggressively collect debts if students dropped out. 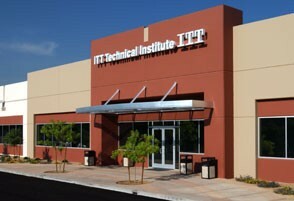 The students also allege that ITT offered dismal to no job placement assistance. One wrote, "I received emails from Career Services for job offers. These job offers were copied and pasted from Indeed.com. Most of these 'jobs' were for McDonalds part-time or working in a Call Center for under $10/hour. Absolutely nothing related to my degree. One particular email I received from the department was a scam, phony company trying to offer $20+/hour to work from home when it was actually the company trying to sell materials." Another ex-student says, "I tried for months working with job services to set up an interview after I graduated. I had several interviews from jobs I applied to on my own with no luck. The help I finally got from ITT Tech was them calling me telling me to hurry up, throw on some nice interview clothes and be there in thirty minutes. I got there and it was a guy interviewing me for a job as a clothes store manager. My degree was in Computer Networking. That was the only job interview that ITT Tech had helped me with." Numerous students report actually being laughed at by prospective employers during interviews because they had attended ITT. One student said that "a technical recruiter finally told me that any resume or job application with ITT-Tech, University of Phoenix, or DeVry on it gets discarded immediately, before any other filtering is done." Indeed, the complaint alleges, some government and private sector employers have had policies against hiring ITT graduates. The students allege that they have been severely harmed by ITT's abuses. They have been left with overwhelming debts. The complaint says that a conservative estimate of total ITT student debt created in the past 10 years is $7.3 billion, an amount that continues to grow as you read these words. The ex-students face aggressive debt collection and garnishment of their meager wages. They lost valuable years attending ITT when they could have been earning degrees from better schools. Their experiences have strained their family relationships and left some of them deeply depressed, even suicidal. One wrote: "It ruined my life, my credit, my employment opportunities, my significant other relationship, my family, and most of all they stole my future from me which I will never get back. The really sad part is I love to learn. I knew what I wanted to do with my life, I loved technology from when I was a kid. Every single night I think about this loan and how it has effected me, my family, and my significant other. I dont sleep, I have heart papulations from constant stress, and frankly I'm to exhausted to elaborate." For its bad behavior, ITT has been /www.republicreport.org/2014/law-enforcement-for-profit-colleges/"}}">under investigation or sued in recent years by the Securities and Exchange Commission, the Consumer Financial Protection Bureau, and the attorneys general of New Mexico,Arkansas, Arizona, Connecticut, Idaho, Iowa, Kentucky, Missouri, Nebraska, North Carolina, Oregon, Pennsylvania and Washington. But these actions have stalled, in part through intransigent legal tactics by ITT and now because of federal bankruptcy trustee has sought to halt them. And there has been no sign of efforts to hold accountable ITT executives like CEO Kevin Modany or long-time board members like DC lobbyist Vin Weber, once a member of the House GOP leadership. With no indication yet from the Obama Education Department that it will issue any last-minute forgiveness of federal loans of ITT students, these former students have taken matters into their own hands -- and again reminded the public of the billions of tax dollars, aimed at helping people train for jobs, that has been diverted to abusive college operators, from medium-size strip mall crooks to pedigreed Wall Street operators. But Trump has claimed he will fight against waste, fraud, and abuse with taxpayer dollars, so why shouldn't he apply that principle to one of the most egregious examples? There remain numerous for-profit colleges whose business models -- high-price, low-quality, deception -- mirror ITT Tech and that still receive millions, even billions, annually from taxpayers. Trump says he stands for working people, and so much of the money allocated for career education now is going to crooked, greedy operators, when we could be financing better programs that would actually train people for careers as medical assistants, mechanics, computer technicians. Moreover, the lobbying and influence-buying practices of this industry come from the darkest depths of the swamp that Trump has pledged to drain. But even if the Trump team decides to let abusive for-profit colleges run wild again, actions like today's student lawsuit, plus probes by the honest law enforcement agencies still on the trail of fraud colleges, plus media coverage, will keep pushing accountability and getting useful information to investors and, most importantly, prospective students. The truth will still matter, and we can hope that the honest accounts of former students will save some future students from similar hardships.